Another iStick series battery with great power output and temperature control function! It's always an exciting news that there is a new stuff coming out from Eleaf if you are a fan of Eleaf. 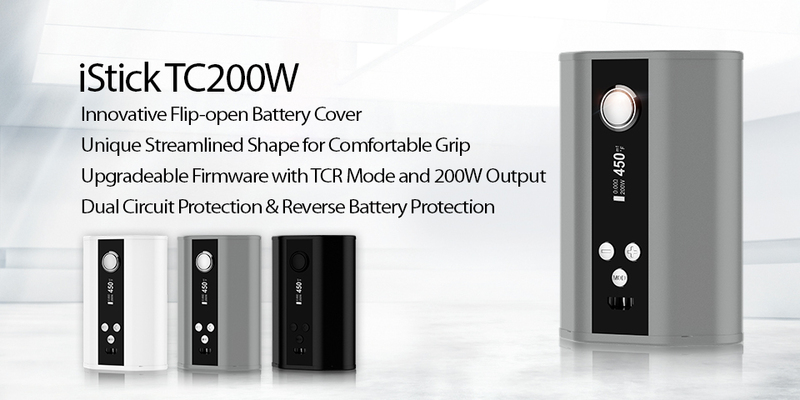 You are so lucky that another powerful device: iStick TC200W is available on Eleaf official authorized website. Would you like to give it try? Powered by three 18650 cells, the iStick TC200W delivers a huge amount of vapor at 200w maximum output. Powerful yet intelligent, the iStick TC200W packs with upgradeable firmware and TC(Ti/Ni/SS/TCR)/VW modes for your preference. In addition to the unique design of flip-open battery cover, the innovative streamlined shape with metallic finish also makes the iStick TC200W fashionable in appearance and comfortable for grip action. Here is the detailed introduction of features and parameters. Many vapers may have experienced the different feelings these two mods bring. Similarly, every person has different opinions about the same problem. Generally, the temperature control is thought as the advanced one and more vapers have preference for the stable taste temperature control mod brings. Actually they adopt two different modes to achieve the vaping taste. Temperature control mod is to utilize the chip to control the temperature of coil at your setted one so usually the taste is stabler and richer, purer, more fully to display the taste. 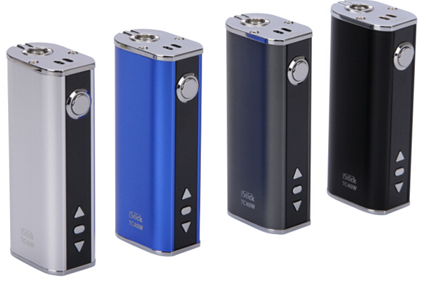 Adjustable voltage mod seems to achieve the similar effect in a wild way by adjusting voltage and wattage output. Though they work for the same goal, the common result is that temperature control generally achieves better taste. Of course, the coil material they employ is also distinctive. Atomizer head with TC function often takes the Ti or Ni as the heating wire and common atomizer head use Kanthal as heating wire. Hope these knowledge is helpful for you when choosing suitable electronic cigarette equipment. Eleaf iStick 40W is a perfect combination of these two functions. Get a genuine one on official authorized distributor website. Electronic cigarettes are generally divided into two parts, batteries and atomizer. Generally these two parts are separated. Battery and atomizer products from various manufacturers can be used in conjunction with each other, but there are exceptions, the current major manufacturers have launched atomization device / atomizing core with the resistance value of less than 1.0 ohm (sub ohm) and these atomizers only can be used on the battery supporting less than 1.0 ohm resistance. 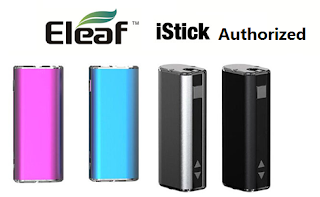 We are the legally authorized distributor of eleafworld.com, currently selling eleaf istick electronic cigarette battery, atomizer and some other accessories. More products will be updated lately. As long as you give your attention to us, you will be informed of the related product information as soon as possible. 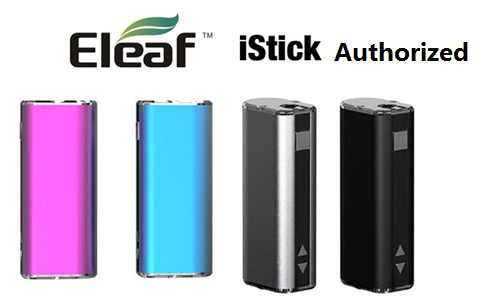 There is no doubt that we are legitimate and our sold products are all genuine, regarding this point you can enter your security code here to see whether you bought original Eleaf electronic cigarette or not on http://www.eleafworld.com/info/batchcode.php when you can get the goods. If you have set foot in the vaping, you must know the mechanical e-cig is different from electronic one. However, you may don't know well the real difference between them. Now let's probe into the real truth. Under normal circumstances, the electronic mod adopts mostly long-lasting battery of which output power is relatively stable and low (usually about the release of between 2A to 3.5A) battery type. The mechanical mod uses the power battery, which refers to the battery type with higher output between 20A to 35A). Firstly you should distinguish these two batteries in the purchase. Because the electronic mod has a circuit board, so that it can achieve the adjustment of the power level by a physical key or a specified command. Eleaf iStick TC40W receives great popularity for its adjustable voltage and also temperature control function. 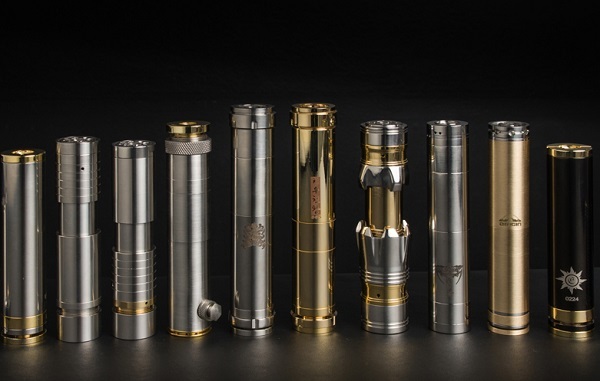 However, the mechanical mod, without a circuit board, can not help achieve the operation of manual regulator. However, we can make a change on the heating wire of drip atomizer to control the amount of vapor production. In general, the electronic mod does not necessarily achieve the ideal amount of vapor production as to smoke cigarette. The general electronic's vapor production can be almost equivalent to the amount of smoke a cigarette for 3-5 mouth, but some electronic mods because of more powerful battery and atomizer core function would be able to reach the amount of smoking 7-8-mouth cigarette and even more. However, the amount of smoke of a mechanical one can even achieve a more amazing lever. Because a single mechanical one can produce the equivalent lever of the amount of smoking 2-3 cigarettes saliva. Even though a mechanical mod can produce a very considerable amount of smoke, if without enough expertise, it can sometimes be difficult to manage this stuff.